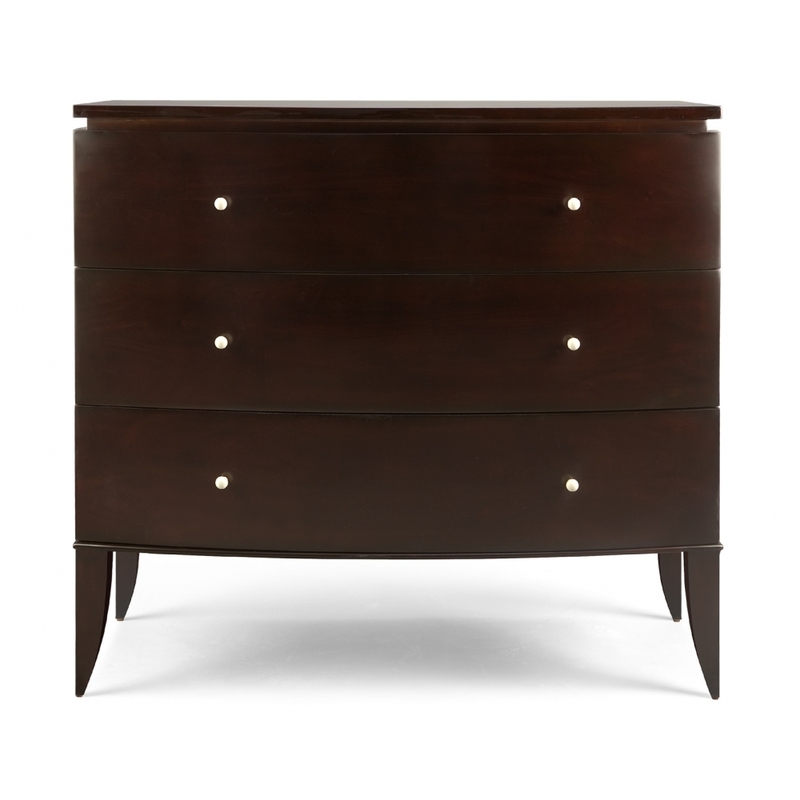 A timeless bow front chest-of-drawers with tapered legs that support the piece with grace. The indented edge, which separates the top from the base, adds a fine detail. The delicate ivoire knobs are reminiscent of a beautiful pearl.